K. D. Kragen is a philosopher, writer, teacher, editor, husband, father and grandfather. A third generation San Franciscan, Vietnam era vet U.S. Coast Guard (1973-1977), married to Janet L. Kragen for 32 years (1977-present), K. D. is a published novelist ("The KillWare Chronicles" and "Plagueman"); he has taught logic and lectured in philosophy of art at various college and local art schools (Northwest College of Art, Trumeau College of the Arts). Presently he teaches senior citizens basic computer skills (to be able to keep in touch with children and grandchildren), does general computer maintenance, MS and Linux OS, manages a small publishing house, Scandia Patch Press, and edits and ghosts the writings of other local authors. KaveDragen Ink LLC Clean, sparkling copy is often the first impression you make on prospective clientele. Every company needs: One, the Visionary, company owner, manager. That's you! You are the market expert. You know your products and services better than anyone else. Two, the Copy-editor, the wordsmith. That's me. I supply the polish and clarity of communication needed to grab your client from the very first line. BBC Canceled tomorrow 8 February 2019 – Snow Day! Reminder: BBC is canceled this Friday for winter storm warnings tomorrow through the weekend. So be safe this weekend. Go on an adventure. Have fun! Brian Creamer shared the following weather-related link: cliffmass.blogspot.com. From Steve Kersten: content.govdelivery.com/accounts/WAKITSAP/bulletins/. Cold weather tips from Seattle Times (thanks to our BBC Emergency Management & Business Continuity consultant, Colleen Kragen): seattletimes.com. Helpline House info from our wonderful presentation by Maria Metzler last week. PDF One-sheet description of Helpline House services (Note: this PDF was produced by Dave Kragen, not Helpline House): HelplineHouseFlyer. Helpline House Website: helplinehouse.org. Maria Metzler on LinkedIn: linkedin.com/in/maria-metzler-593a1a155/. 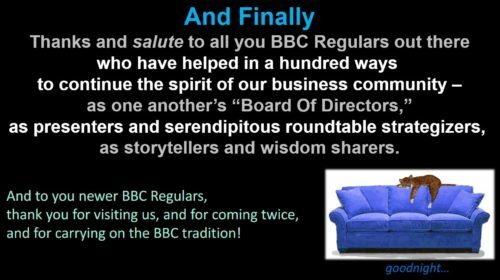 BBC Regulars Upcoming News & Events! 20 February, 11:30-1:00 PM – “2019 ECONOMIC VITALITY REPORT” & Chamber Luncheon @ Wing Point Golf & Country Club. You need to register ahead (by deadline February 15th) at bainbridgechamber.com. 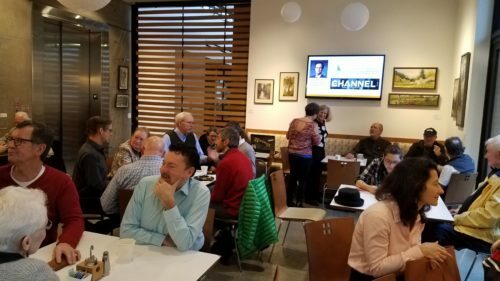 26 February, 7:30-8:45 – BBC Regular Craig Clermont, Bookish Media, will be presenting for the Silverdale Chamber and SCORE Kitsap: “Big Chamges In 2019 For Small Business Websites.” Location: Hops n Drops, ?3171 NW Bucklin Hill RD. Details and registration: business.silverdalechamber.com. Through March 17th, Donna Lee Dowdney Exhibition “Under the Influence of Fiber” – in conjunction with the North Peninsula Branch of the Surface Design Association. At the Old Alcohol Plant, 310 Hadlock Bay Road, Port Hadlock (donnaleedowdney.com). Sakai Plastic Film Recycling Challenge! SAKAI STUDENTS WANT YOUR PLASTIC FILM. Now through April 15th. More Info at sustainablebainbridge.org. Waterfront Seattle & 2019 Viaduct Removal – Free Shuttle Service Info/Map: seattle.curbed.com/2018/10/4/17938460/seattle-waterfront-shuttle-bus-transportation. Creating Community Resilience. “Map Your Neighborhood”: bifd.org/map-your-neighborhood.aspx. 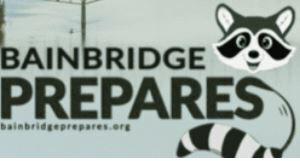 Bainbridge Prepares: bainbridgeprepares.org. Scott James guidebook, “Prepared Neighborhoods” preparedneighborhoods.com. Join us this deep winter BBC Friday for special guest, Maria Metzler, Helpline House executive director. Maria will share about Helpline House’s vision for the future, as well as how local individuals, entrepreneurs, and businesses can support Helpline House for a better Island future. There will be plenty of time for questions and discussion. Starting a year ago, January 2nd, as director of Helpline House (helplinehouse.org), “Maria Metzler has made a living out of helping people. So, it’s only natural that the latest chapter in her 17-year Social Services career is as Executive Director of Helpline House. 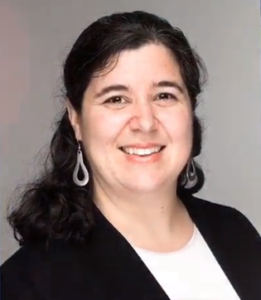 Metzler … has always been driven by social justice, improving the lives of others, and connecting with people and community. She and her husband – who met while working in a homeless shelter – moved to Bainbridge Island four years ago and have 5-year-old twins” (Karen West, Helpline House Special Assignment Volunteer Writer, 2 Mar. 2018). Maria on LinkedIn: linkedin.com/in/maria-metzler-593a1a155/. So Invite your friends and associates to come join us for this exciting non-virtual non-cloud event in real time and real space … and another delicious cup of BBC! Be here, be free, be businesswise. For, in a sense, me hearties, as serial entrepreneurials, we all be business wise! 7 Febuary, 7:30-9:00, Chamber Breakfast, hosted once again at Wing Point Golf & Country Club. Details at: bainbridgechamber.com/chamber-breakfast/. Play, share, dream, be mortal. Be creative, think sideways, have fun. 22 January, [email protected], 12:00-1:30 – Understanding Search Engine Optimization (SEO), w/ Mick Credere, Director Technical Services, Valor Marketing. Free to the public, to reserve a spot please register at officexpats.com. 23 January, Wednesday! Chamber After Hours (5:30-7:00) – Fletcher Bay Winery, hosted at their Winslow tasting room, 500 Winslow Way E. (next to BIMA). Please note that the event is on a WEDNESDAY this month (bainbridgechamber.com). Upcoming: 7 Febuary, 7:30-9:00, Chamber Breakfast, hosted once again at Wing Point Golf & Country Club. Details at: bainbridgechamber.com/chamber-breakfast/. Small Business Marketing – What are the best ways to promote a small business in today’s market? The options seem endless, and you’ll hear headaches and hero stories from every corner of the internet. What works for others may, or may not work for you or your business. In this presentation Charlie will highlight some of the most effective ways to promote your business and how to put it into action right away! These top strategies are not just “good ideas.” Charlie will provide bullet points you’ll be able to take action on right away. Charlie on linkedin.com. 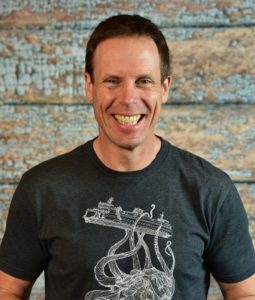 Charlie’s website: heroicfatherhood.com. TOTALLY FUN BBC 10TH ANNIVERSARY! 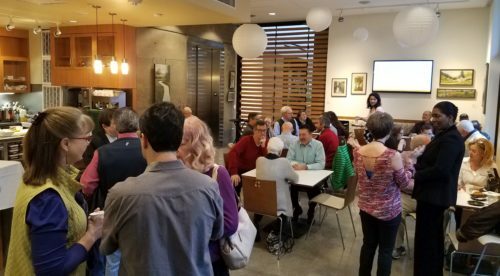 Thank You BIMA (Bainbridge Island Museum of Art) and BBC Regular Peter Raffa, for hosting our wonderful 10th Anniversary Celebration! Thank you to Kevin Wiley for organizing a great catered breakfast — WITH WAFFLES! — catered by: Harrison Catering Service (thomascuisine.com). 2018 Chamber Membership and Citizenship Awards: Nominations are open for one more week! 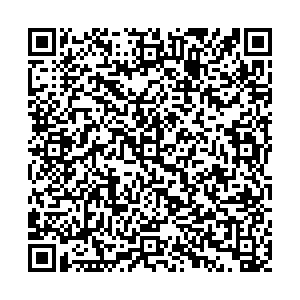 Complete and submit nomination form to the Bainbridge Chamber of Commerce by Friday, January 11th. More info at: bainbridgechamber.com. 13 January, 3:00-5:00, Donna Lee Dowdney Exhibition & Reception “Under the Influence of Fiber” – in conjunction with the North Peninsula Branch of the Surface Design Association. At the Old Alcohol Plant, 310 Hadlock Bay Road, Port Hadlock (donnaleedowdney.com). Join us this BBC Friday to kick off the new year with THINK CLUB 2019 business strategy and sharing roundtable, with BBC Thinkologist, William Ruddick. 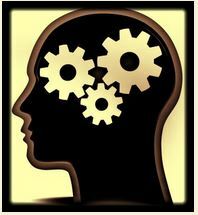 Topic: Verbal Judo, The Gentle Art Of Persuasion. When communicating and dealing with people it is critical to persuade people to act and communicate with you. We’ll consider the following: what never to say; engaging people through empathy; listening better; block those verbal attacks in their tracks. Mushin: a samurai warfare state of mind defined as “still center,” the ability to stay calm, to read your opponent. Be here, be free, be businesswise. For, in a sense, me hearties, as serial entrepreneurials, we all be business wise! Domo arigatogozaimashita. So Invite your friends and associates to come join us for this exciting non-virtual non-cloud event in real time and real space…and another delicious cup of BBC! 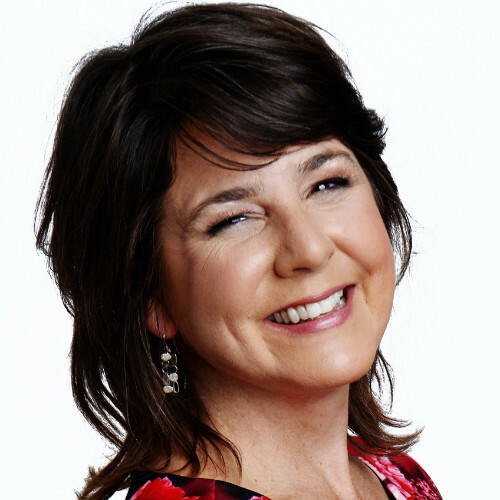 Join us this BBC Friday for a year-end conversation with Leslie Schneider, OfficeXpats co-owner and longtime BBC Regular: “COBI and Bainbridge Business in 2019” (it’s just around the corner). Leslie will not only talk about cool City stuff possibly upcoming in 2019, but she also wants to access her BBC Board Of Directors, to pick our collective brains. She appreciates us — and we APPRECIATE her (and Jason) for their years of hosting the BBC! Leslie moved to Bainbridge Island in 2009, where her son graduated from BHS in 2015. She started a coworking business in 2011 called OfficeXpats with partner Jason Omens. 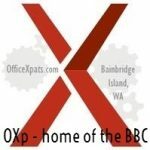 OfficeXpats is a shared office space and collaborative hub for independent professionals, and it won the Chamber Of Commerce small business of the year award for 2014 for its support of local business and the community. 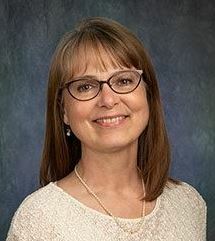 Leslie has also served on the boards of Sustainable Bainbridge and the Kitsap Regional Library Foundation. This Friday Dec. 21 – The first BBC UGLY HOLIDAY SWEATER CONTEST (and maybe the last?). There will be prizes for 1st, 2nd, and 3rd … ugliest sweater. Thanks (I think…) to Paula Weissinger, State Farm Insurance & “Friends Of The Post Office,” for sponsoring this exciting new event! Join us for our (can you believe it?) 6th annual “Looking Back, Looking Forward” conversation with Alyse McConnell of A2 Coaching Group. “People with goals succeed because they know where they’re going.” ~Earl Nightingale. Alyse is delighted to lead us once again in closing out the year providing a fresh start to what we want to create next. Though the annual change in the calendar is just like any other day, it’s a great opportunity to look at where we’ve been, celebrate the journey, and learn its lessons — looking ahead to what we want to create next. This year’s conversation will focus on a new aspect of goal setting: finding a clarity that takes the heavy lifting out of achievement. Alyse’s has spent the last year learning about this process, and she is excited to offer to us some insights! Former owner of Paper Products and founding BBC organizer, Alyse is noted for her organizational expertise in systems planning and for helping and motivating her clients to achieve breakthrough results in business and in life. Visit Alyse on LinkedIn.com. U.S. Marine Corps Toys For Tots Drop-off Locations: Calico Toy Shoppe – 290 Winslow Way E. Paula Weissinger State Farm Insurance – 175 Parfitt Way, Suite 180. Accepting donations through Dec. 15. Guidelines for donating toys here. 30 November (Friday) – 2 December (Sunday), 10:00 to 5:00. The 35th Annual “Winter Studio Tour”! Eight island artists’ studios and community halls. Info and registration: bistudiotour.com. 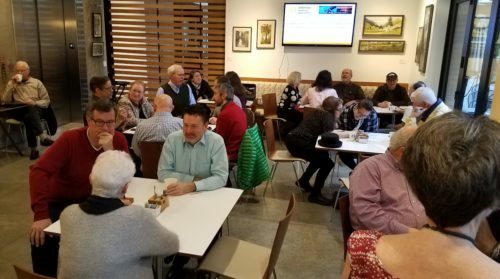 5 December, Wednesday, 5:24-8:03, Silverdale Greendrinks: Hosted by Central Kitsap Food Bank (ckfoodbank.org), 3537 NW Anderson Hill Rd, Silverdale. More info: facebook.com/events/280254932832763/. No BBC this Black Friday. We’re off for Thanksgiving Holidays! Have a safe and happy Thanksgiving. May your thankfulness be sprinkled with friendship, peace, and moderation. Mindful-eating means food without fear, dining without guilt, eating without remorse. Mindful eating is a learned skill that can help you create a better relationship to your food. (Don’t you want to relate well to your food?) For resources on “finding peace with food” visit nutrition specialist Anita Bermann’s Ideal Feast Nutrition. 24 november 2018, Saturday, 8:00 AM – 2:00 PM: Multi-Family Community Sale! Come find some good buys; maybe even get your Christmas/Hanukkah/Holiday shopping started early. @ Virginia Villa Apartments, 200 High School Rd NE. (NO early arrivals, please!) More info: facebook.com/events/254529785220526/. Donna Dowdney @ Esther’s Fabrics – Donna’s art is on display throughout November. If you haven’t see her work, stop by Esther’s Fabrics. Donna’s website: donnaleedowdney.com.